The Plants vs. Zombies franchise takes us back to the lawn with the sequel to their popular shooter, Garden Warfare. It was a questionable move for the franchise, but because of the simple nature and price of the original, it was arguably the best valued game of 2014. Has the franchise found its place in the shooter genre or will Plants vs. Zombies: Garden Warfare 2 be the sequel we’ll all want to forget? Plants vs. Zombies first arrived on the scene and offered a new way to play tower defense. Players were restricted to a grid and would have to pick and choose their plants as wave after wave of zombies approached Crazy Dave’s house. 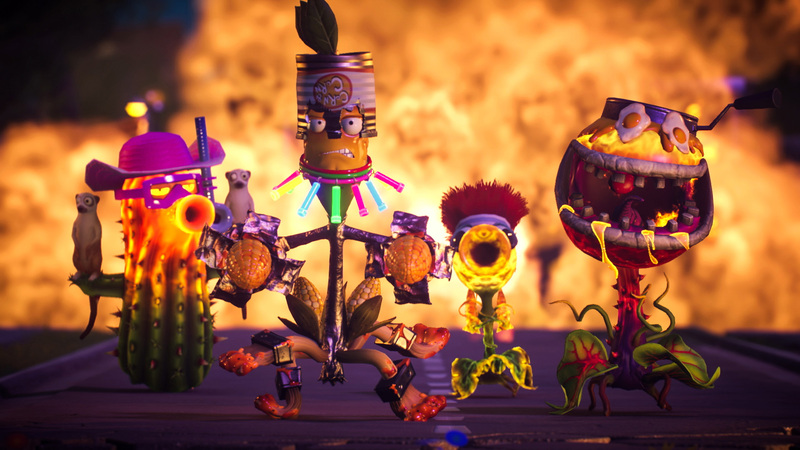 In Garden Warfare, the fight grew beyond the backyard and into the quiet neighborhood Suburbia. 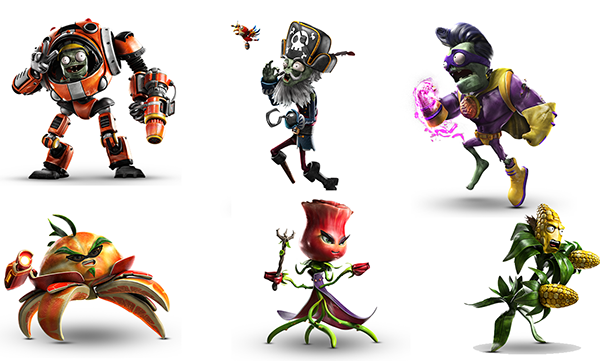 The popularity continued to grow and Garden Warfare showed us that these lovable characters could not be confined to a grid. The war still wages over who is vying for Suburbian supremacy. After losing to the zombies, Crazy Dave doesn’t go down without a fight. He’s enlisted the help of new plants to aid the fight to turn the tide to his favor, but Dr. Zomboss isn’t that easily intimidated. He too has recruited new zombies willing to give up their undead lives for the greater evil. How will this war end? Choose your side and fight with your fellow plant or zombie, and wage war. The Plants vs. Zombies franchise branched out far from its tower defense foundation and has become a pop culture hit due to its adorable characters and slapstick humor. But what truly makes the franchise a hit is they continue to make games that are fun and easy to pick up while pushing the boundaries of the genre. The original Garden Warfare was a breath of fresh air in a genre that constantly releases similar gameplay each year. The player starts the game off with a short tutorial before heading to the Battleyard Background. This area serves as the central hub for everything in the game and is done beautifully. The player has access to a plethora of things just by wandering around each side’s base. Character stats and variations can be seen in the middle of each base. Multiplayer portals, Garden Ops, customization, a single player story mode, the quest board, and the sticker vending machine can all be accessed from either side. Players have the ability step out onto the ongoing war and partake in a horde-like mode where they’ll defend the central flag wave after wave until being overtaken. Secret gnomes and snow globes are scattered around the backyard for players to find to unlock chests. Missions and minigames can also be located by exploring the park, neighborhood, playground, dock, or shopping center. There is so much to do just in the central hub of the game that it can be overwhelming and lots of time can be spent before even diving into the bulk of the game. Garden Warfare 2 allows for three friends to join you in your backyard and partake in all activities mentioned earlier, or hop into two modes: Multiplayer or Garden Ops. Multiplayer offers game types common to most shooters like Team Vanquish, Vanquish Confirmed!, and Suburbination and some that are unique like Turf Takeover, Garden/Graveyard Ops, and Gnome Bomb. Team Vanquish is your basic deathmatch; most kills wins. Vanquish Confirmed! requires each kill to be confirmed by picking up orbs that are dropped when an enemy is killed, but the enemy can pick up the orb to negate the death. Suburbination has three control points that grant points for whomever controls it and the game ends when a particular score is met. Turf Takeover pits players against each other where one side is trying to defend a point and the other is attacking. The attacking side has to complete six captures while the defending side has six chances to stop them. Each point unlocks a new area of the map. This game type has been a favorite since the original and offers the most unique experience. Garden and Graveyard Ops pit players against 10 waves of enemies. Gnome Bomb has a neutral bomb, and each side needs to destroy three points. The variety of game types is just enough for everyone to find something they will enjoy. Players can go at it in any of the multiplayer modes solo with bots but also have the option to enjoy a story mode. Each side has a multitude of missions they need to complete for Cravy Dave or Dr. Zomboss, and this is a great way to try new characters and plants to see which one you prefer. Completing the story allows the player to explore new areas of the backyard and complete various quests that can be obtained from the quest board. The quest board gives the player options to achieve various activities, such as kill x amount of a particular character or complete a set number of games of a game type, in exchange for coins or stars and an XP multiplier. Those coins can be used to purchase sticker packs from the vending machine. Players have the option at which pack they’d like to purchase depending on what they’re looking to accomplish. There are three items that can be purchased through the packs: items that aid in Graveyard/Garden Ops, character customization items, and character variations. Everyone loves to show off their characters by dressing them in ridiculous items and unlocking new variations. Each character has multiple variations that alter the base character allowing for different gameplay. The specials can be customized to suit your preferred game style. More than 80 variations and 100 items add to the diversity of customization options. All of the base characters from the original one make a return while six new classes, three for each side, make their debut. For the plants: Citron, Rose, and Kernel Corn. For the zombies: Super Brainz, Captain Deadbeard, and Imp. Each plant will have a zombie equivalent in that there will be a well-rounded character, a melee type character, support, etc. The Rose character has been noted to be very overpowered in the short time the game has been out, but the developers are fully aware of it and will be releasing a patch soon to fix her. With all the variations of the characters, a character you might not enjoy in its original form may be one of your favorites in its variant form so give each one a chance. Each character can now be leveled up and promoted, which gives players more bragging rights and prestige. When the sequel was announced I was excited to get back in the yard and pit plant versus zombie again. Different ideas ran through my head on how they could continue to improve the game and all the funny times and stories I experienced put a smile on my face. Backyard Battleground is full of things to do and it’s easy to get caught up in exploration before realizing that there’s still the story and multiplayer modes. 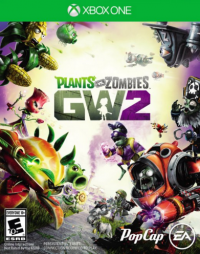 The single player stories that have been added for both plant and zombie allow newcomers to explore the world of Plants vs. Zombies while getting accustomed to the new gameplay that awaits them in multiplayer. The developers have done an exceptional job on what was already a great multiplayer system. The customization and collection aspect make the game something that will be played for a long time. The amount of content in multiplayer will have players grinding out quests and missions for new items, classes, and promotions. It is refreshing to see a game done properly with promise of new free content to come. If you were a fan of the first installment, it is easy to say Plants vs. Zombies: Garden Warfare 2 is worth picking up. If you are new to the series, this is a great introduction, and you won’t regret the purchase. 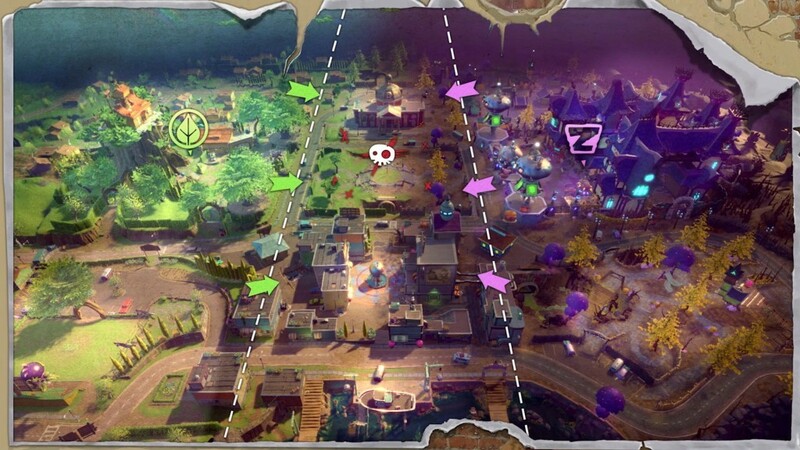 Plants vs Zombies continues to grow and Garden Warfare 2 has done a great job sharing a deeper look into the world of each side. The original formula caught the gaming world by surprise and the developers continued to make improvements and additions. It has been a long time since a game made me excited to play it and I’m glad to have found that in Plants vs. Zombies: Garden Warfare 2. Deluxe Edition of the Xbox One version of the game was purchased by the reviewer.